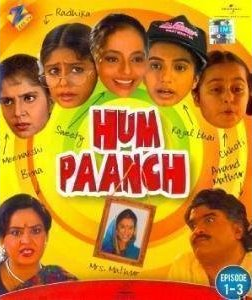 Episode #4 of Hindi TV Serial Hum Paanch is focused on a study about domestic fights in the married life!. Sweety was busy in her routine! Now don’t ask what it is?! Actually, she was reading (viewing) a fashion magazine doing some fantastic comparisons between the features of the model and herself. You may find it funny and stupid as well (when view it). Radhika was reading some news and she came across a news about a study held in foreign. According to the study, it is common to have some domestic fights between a couple. In fact it is a sign of healthy relationship! Now, it is true till that extent. But, one need to read it via practical approach. Actually, there can be difference of opinions between any two persons and that is natural. And having a small fight regarding the opinions is a sign of healthy relationship in a way that both them are equally free to represent his/her opinions. If there is no freedom of expression, one cannot show the difference of opinion on any matter with his/her counterpart. Which creates a feeling of rebel and rule-breaker within him/herself. One day these feelings can overpower one’s senses and make him/her psychologically ill. And of course, there are chances to explode the feelings in the form of a deadly fight or some step of extreme level (for a person or relation) like a pushed spring, which is much much more harmful. So, yes, small domestic fights are natural. But, one needs to understand, that if there are no fights, that doesn’t mean there is always something wrong in the relationship. And it is wrong to determine that they are not happy with each other. The girls however find a couple of proofs about the theory and for the sake of their parents decided to raise tough situations between them to irk a fight. What they have thought for?! Well, bringing the third person between the couple! Well, not practically, but theoretically. Their main concern was that their mother start doubting that her husband have an extra-marital affair! Well, it seems dangerous right?! Of course it is. Now, what will be the fate of Mr. and Mrs. Anand Mathur?! In terms of script and dialogs, the episode is written nicely. In terms of acting Amita, Ashok, Shoma and Rakhi are the top performers. Bhairavi got some fantastic dialogs. The background music really goes with the flow of the content of the episode. The episode brilliantly takes a satirical look at various aspects like, you need to apply your brain when observing any study, when your will is good then also you need to watch your actions and its possible after-effects, and more. The conversation between Anand and his wife during the night is filmed pretty well, and so does the efforts of the girls to have the marks of lipsticks on Anand’s shirt! You will surely enjoy the scene where Bina was washing the cloths and Radhika shows her the shirt with the marks of lip-stick. And of course, the girls explores various other plans as well, which are nice to watch. It is a nice episode which irks humour and convey lessons about common sense. And love is love, it doesn’t need any fight to prove it’s presence, nor it is the thing that if there are some small fights, then there is no love between a couple. It is tough to find such genuine TV serial these days. Don’t miss it. 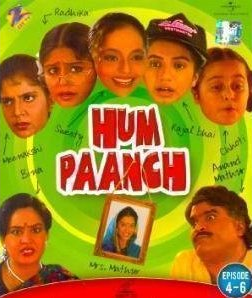 Did you watch the original telecast of the TV Serial? What are your thoughts about this episode? Do let us know your thoughts, we love to read you. And yes, do not forget to share this article with your friends over various social networks via Twitter, Facebook, Google Plus and others. And yes, you may like to subscribe to our RSS feeds and follow us on various Social networks to get latest updates for the site to land right in your mail box.